Hello Luxers! 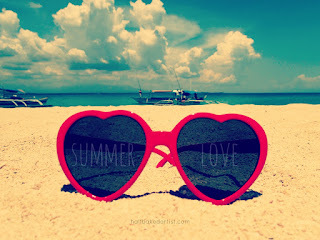 Welcome to my Summer Lovin' series. You saw the first entry yesterday about my first ever cruise experience. This series is going to continue through the summer with tips and tricks as well as my personal summer experiences. Today we are talking getting the most out of your summer. There's so much to be done: beaches, festivals, girls' weekends. Here are a few tips to making the most out of this season. 1. Prioritize: Create a top 5 or top 10 list of the things you want to do this summer. Then prioritize the list by the must-do's and the want-to's. 2. Plan: Grab a calendar, your favorite planner, or your iPhone will work. Mark the days that you are able to go away. Then add all of your experiences into your calendar, making sure nothing overlaps. 3. Pack: If you are traveling a lot this summer, you don't want to waste time packing, unpacking, and pulling around luggage. Find ways to downsize. See my post on how to downsize your carry-on. 4. Play: This requires some planning as well. Plan out everything you want to do once you get to your destination and prioritize what you have time for. Don't forget to leave some time for relaxation.